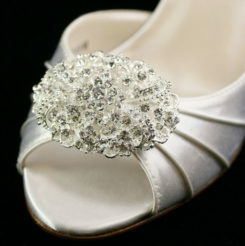 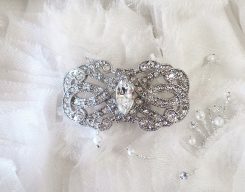 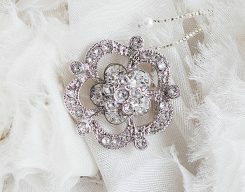 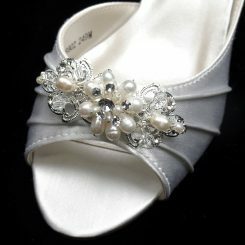 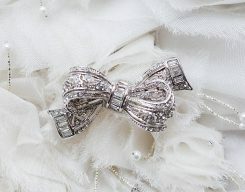 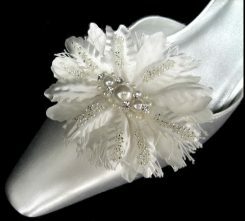 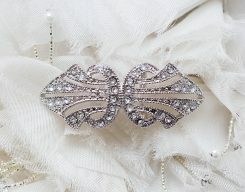 The AA Bridal SB702 Fabric Flower shoe clip has a cluster of small rhinestones in the center. 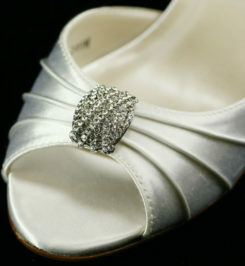 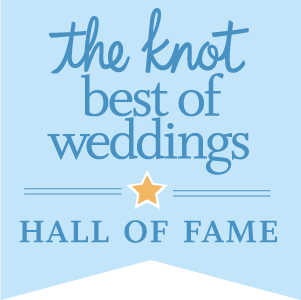 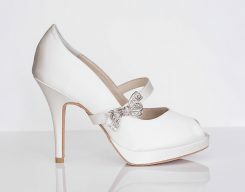 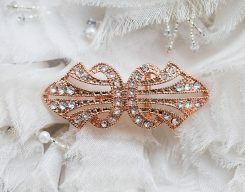 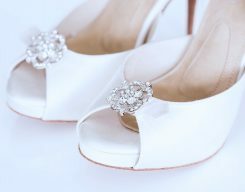 It is the perfect addition to any bridal shoe, available in white or ivory. 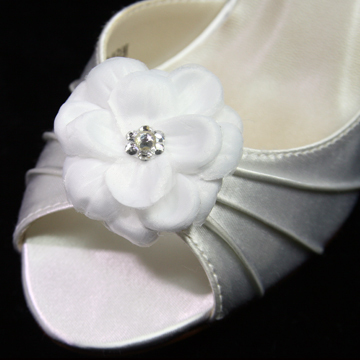 This shoe clip measures just under 2 inches across. 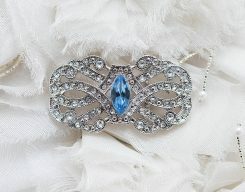 THIS ITEM IS A FINAL SALE AND MAY TAKE UP TO TEN DAYS TO SHIP!